Aura failing to find target? Considering going up to a full playset of Lignify as it's tutorable, removes abilities, and the enchanted creature shouldn't be able to block Aura Gnarlid . How about Lignify for sweet single “removal”? Also it’s treefolky! Maybe Bosk Banneret ? +1 I run a Doran deck that used to be treefolk tribal. It’s been changed up over the years and on my profile if it peaks your interest. Elvish Pioneer , eh? That's terrible outside of the combo xD; but if you feel like it - please let me know how it goes. I'm personally gathering pieces for this list so I can test it out at my LGS. Goldfishing is one thing, but often it's nothing the same as a game (especially in a reactive list). 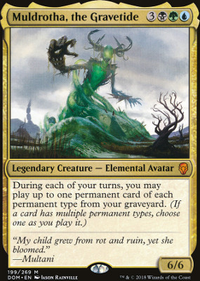 I was thinking of sliding in a Treefolk Harbinger to tutor for Lignify / Great Oak Guardian as there's often plenty of things that need to become seed (plus I found one in a box of random cards). Argothian Elder goes infinite with Maze of Ith during combat, or Wirewood Lodge + either Nykthos or Cradle outside of combat. 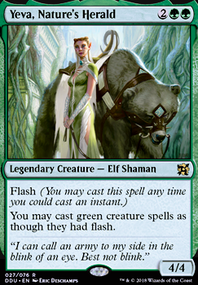 Elvish Guidance turns any land into a Cradle, which goes great with Arbor Elf . Copperhorn Scout gives a mana boost mid-combat, allowing you to drop a surprise Craterhoof Behemoth . Eladamri, Lord of Leaves can be held in the hand until the moment someone tries to kill your elves, then dropped at instant speed to counter the spell/ability. 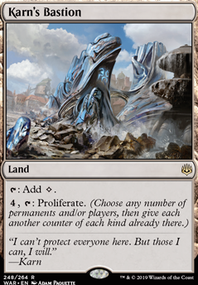 Note that this shuts off Wirewood Lodge so Temur Sabertooth can be necessary to get him back off the field. Heroic Intervention provides a similar effect for the same cost, but only once (unless you have ewit shenanigans ready). Elvish Harbinger is one of the best tutors going for elfball decks. 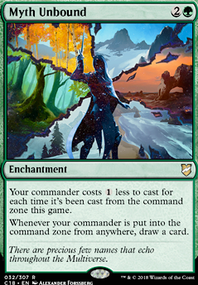 Ezuri, Renegade Leader is another infinite mana outlet that wins games. Heritage Druid gives you the ability to tap elves for mana on the turn they come down, and pairs up with Lys Alana Huntmaster really well. Joraga Warcaller can be played early as a minor lord to keep your weenies alives, then bounced and re-played later when you have a surplus of mana. Krosan Restorer is a far better version of Voyaging Satyr even though it costs 1 more. Loaming Shaman is great grave-hate that can also double up as recursion if you've got the draw engine started. Nullmage Shepherd will make artifact / enchantment based decks scoop on the spot. Patron of the Orochi untaps itself every turn along with every other creature you control (but also every green creature and forest at the table). Realm Seekers often comes down as a huge beater, and tutors up any land at instant speed. Skyshroud Poacher will win you the game unless it is immediately removed. Best elf tutor ever printed. 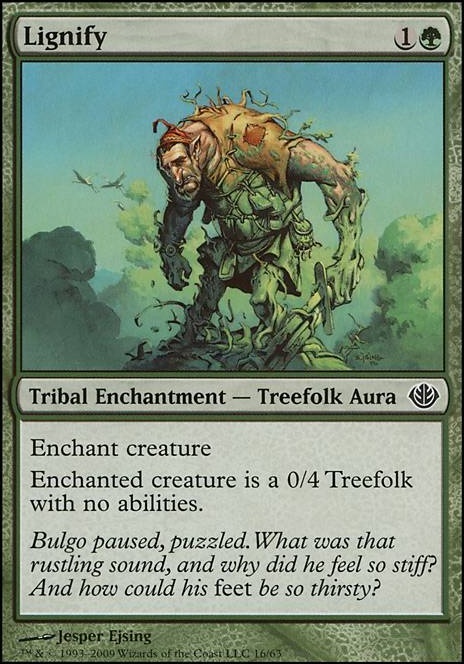 Treefolk Harbinger topdecks you a forest on turn 1, also tutors up Lignify if necessary. Ulvenwald Tracker removes nasty threats, especially in conjunction with Vigor . Consider adding "Budget," "Ramp," and "Gruul" to the deck's Hub(s). Possibly relevant +1/+1 counter cards: Hardened Scales - get more counters Bow of Nylea - deathtouch is a powerful thing, but at 3CMC, this isn't one of my favorite spells. With the ramp you're packing, it's realistic to consider it viable here. Rishkar, Peema Renegade - This can generate a lot of ramp in mid-game. Commune with the Gods is the only spell I can think of in Gruul that can help you get an enchantment. Putting cards into the graveyard is sucky though if you don't have a reliable means of getting them out. Heroic Intervention is better than Vines of Vastwood , but I recognize it might be more expensive than your budget allows. Blossoming Defense is worth considering, if you haven't already. You might benefit from Utopia Sprawl over Fertile Ground . It's a solid t1 spell, and given that nearly 3/4 of your deck requires green mana, you could probably go something like 11 Forest & 5 Mountain safely. Harmonize might be better than Beast Whisperer - my thinking is this: by the time you cast Beast Whisperer for 4 CMC, there's a good chance you'll be close to top-decking. You'll then have less than a 50/50 chance of drawing a creature. 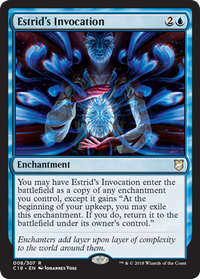 You may often not even get a single card out of the Whisperer, as opponents may choose to remove it or cast a boardwipe. With Harmonize, you always get 3 cards. At 1.33 CMC per card, that's actually among the lowest CMC's per card among draw card spells. Beast Whisperer seems like a solid inclusion here! You also seem to have a number of sources here, so maybe Karametra's Acolyte could be worth it? Ulvenwald Tracker could also be sweet. Lignify and Song of the Dryads are pretty solid in mono-G decks. Song of Freyalise could be pretty good here too! Night Soil is nice if you have some GY decks to hate on.